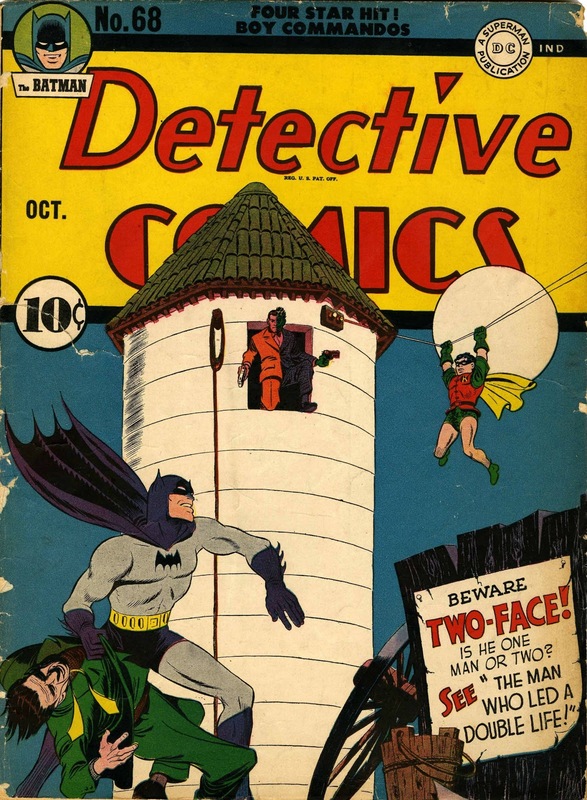 DC Archives Editions have been with us for a long time, in fact over twenty years and as such they provide an interesting insight into the oft times problematic craft of re-presenting U.S. comics golden age to a modern audience. I say modern audience slightly tongue in cheek, more likely old farts who even if they haven't sold off their collection, or consigned it to a plastic tomb (aka slabbing) are probably a mite apprehensive at actually turning the pages of seventy year old comics for fear that either they or the comics might not be equal to the task. The only series I have stuck with and this out of sheer nostalgia, are their Batman reprints. These are as good an indication as any about the vagaries of the restoration process. 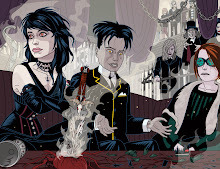 As has been discussed here before, there have been all kinds of learning curves involved for the people tasked with revitalizing these comics. Even setting aside their recent experiment with presenting verbatim color scans of pages in some of their Simon and Kirby reprints, there have been some real inconsistencies which are fascinating and frustrating in almost equal measure. Take for instance Batman Archives Volume 2 which collected some of Jerry Robinson's earlies stories from Detective Comics, where not only were some covers badly redrawn as DC no longer had complete copies of all issues, but to further compound the disappointment, no allowance was made for the fact that the paper the comics were being printed on was glossy and less absorbent than the newsprint that the colors had originally been intended for. Which meant that everything looked hideously garish and the purple of the Joker's suit was so dark that all the line work simply disappeared into a morass that was even darker than John Carpenter's Dark Star. To any serious comics devotee this was a heinous crime of unparalleled magnitude. Even the burning of the library of Constantinople seemed fairly mild in comparison. However things have gradually improved although there are still minor setbacks. 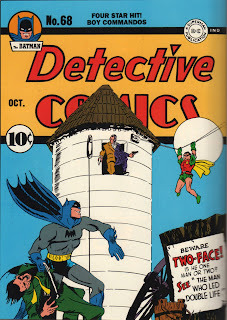 To my mind the best volumes in this series so far are The Dark Knight Archives 4, 5 and 6. Volume 6 is a particularly impressive affair and as I have owned many of the comics reprinted in that book I was perhaps more aware of what could have been lost. The work that has been done on these pages is simply astonishingly good. All the color has been stripped out without losing any obvious detail to provide black and white linework with new color added digitally. This is still a weak area in some respects as there are totally inappropriate gradations and airbrush efx that still creep in from time to time. But and it is a big BUT, the linework on these volumes is superb. 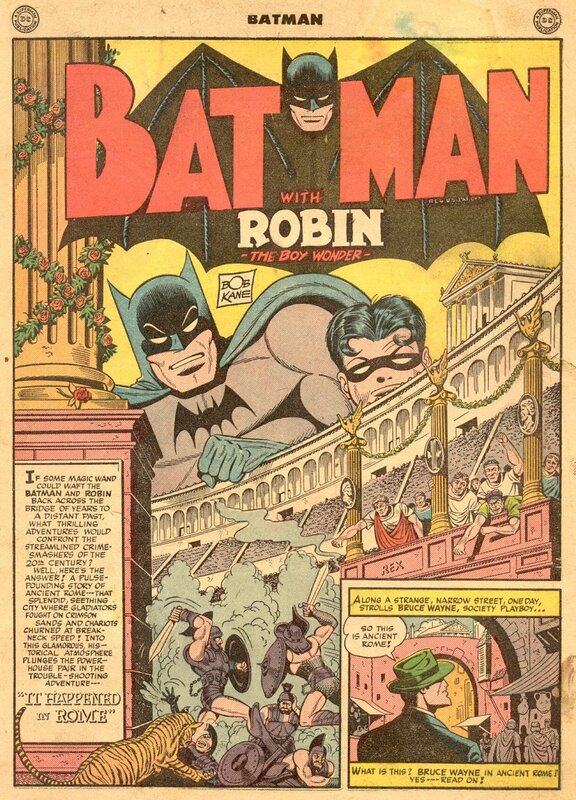 Just check this sample with the original splash page from Batman No. 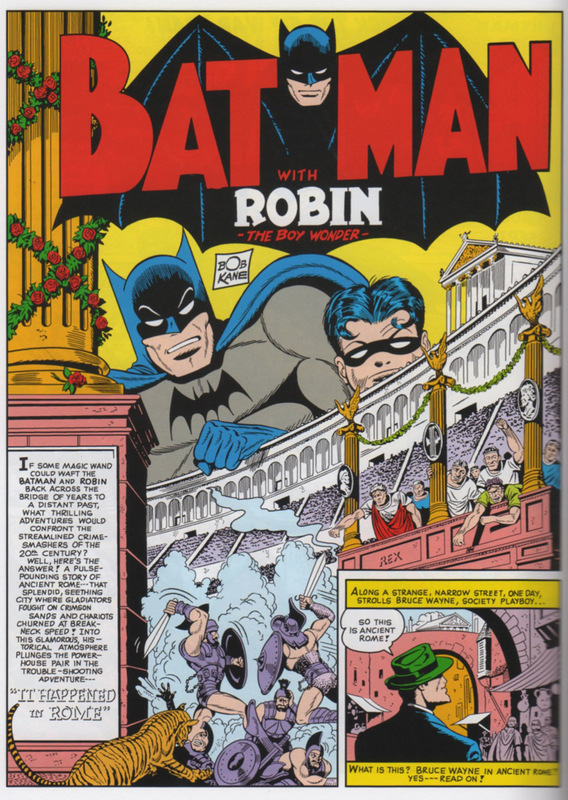 24's lead off story It Happened in Rome with the recent Dark Knight Archive 6 reprint to see what I mean. 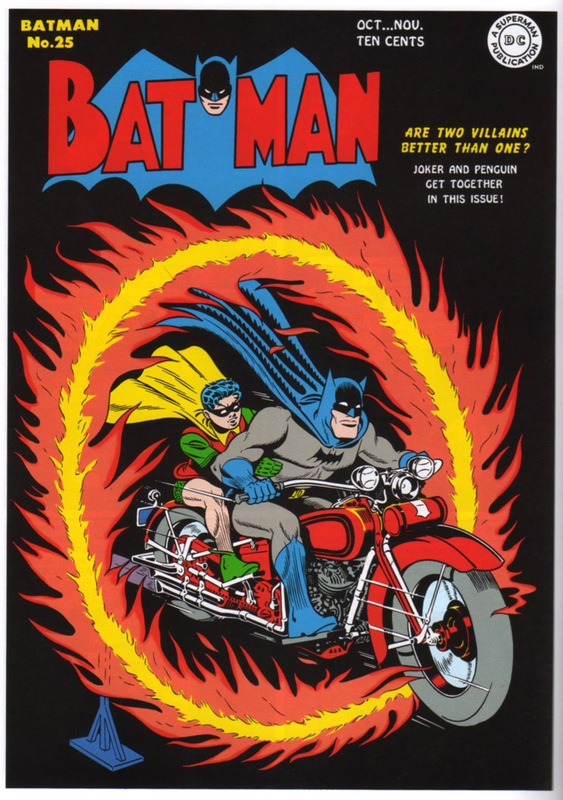 So I really was looking forward to seeing the latest in the Dark Knight Archive series, but sad to say although covers such as this beauty (Batman No. 31) are superbly reproduced, others (Batman 27's hideously heavy red on Santa's cheeks) are not and what is worse the contents are also badly restored with lots of drop out of detail and in fill of feathered blacks as in the Jerry Robinson page shown at the end of this posting. When you check the sources of the digital restoration you find the possible cause of all these inconsistencies as this work is farmed out to a variety of sources. But be that as it may, these books are still the most affordable way of viewing these old treasures from U.S. comics infancy and I can only hope that DC stick with the project a little longer. When the Archive Editions first reprinted DETECTIVE COMICS #27, they used an inferior redrawn one from a '60s issue of the same title. (It was also utilised in the "From the '30s to the '70s" BATMAN volume.) Interestingly, the Millenium Edition reprint of DC #27 seemed to use original proofs, as it was a much more faithful presentation. Thanks for the insight Kid, I didn't know about the Millenium Edition but I can see I'm going to have to check it out. The early DC Archives utilized the services of Greg Theakston as their means of sourcing black and white line art from these old comics, using that process which sends a shudder of horror through comic collectors - "Theakstonization". A process that literally bleached the color out of the pages -bearing in mind that when Superman Archives was published in 1989, even Photoshop was still in development and wasn't commercially available. 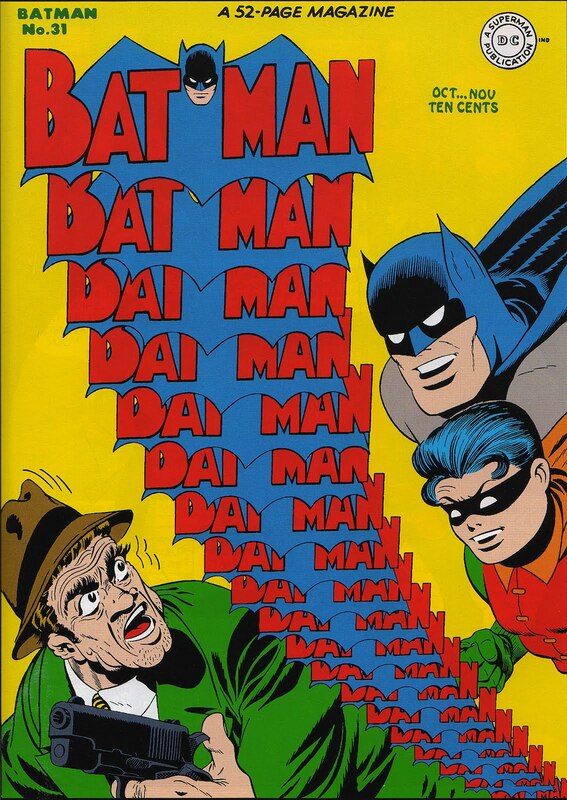 Which is why I suppose that they opted to run that redrawn Batman origin. 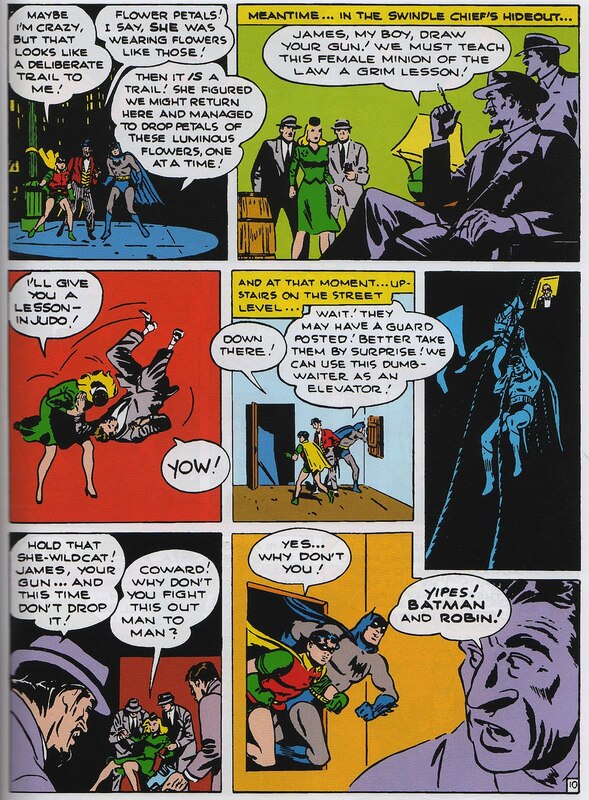 But then why did they also include the redrawn debut of Alfred the butler from Batman No. 16, bearing in mind that when that volume of Dark Knight Archives was being assembled, they were utilizing Photoshop rather than bleach for all their books? 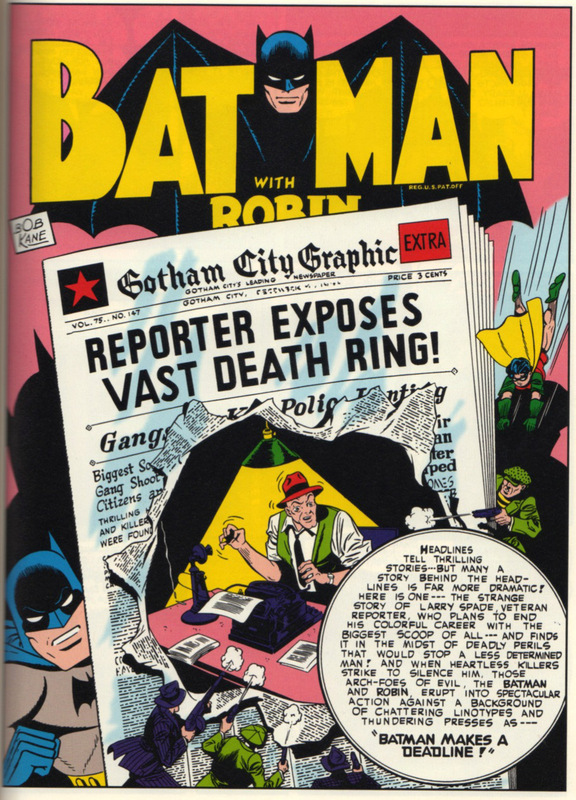 There's probably another and better sourcing of that story somewhere in DC's vast canon of reprinted material. Personally I prefer the B&W reproduction of DC Showcase and Marvel's Essentials series to these would-be Archives as they do at least preserve the original art pretty faithfully (apart from DC's Silver Age covers which, for some inexplicable reason, were never photographed along with the interior pages!). With earlier work it's ironic that US publishers are now driven to scouring the world for old British and Australian reprints where there is no colour to interfere with the restoration process. Of course, it has to be remembered that American comic-book artwork was usually inked with relatively broad strokes in the knowledge that extra depth would be added at a later date during the colouring process - unlike the majority of original B&W art produced for the British market which tends to have a more complete look as a result. Given the choice I'd nearly always opt for archive editions which photographically reproduce original printed pages as closely as possible - Ben Day dots and all - in the manner of the Smithsonian collections or the Simon & Kirby material you mention. Inevitably, however, there is a natural temptation to apply modern colouring techniques to Jack Kirby's classic 'Tales of Asgard' stories, Steranko's SHIELD and Barry Smith's Conan pages - almost like a child with a brand new colouring box. The problem is that, while it *is* possible to enhance old work in this way, few people seem to have the restraint needed not to swamp the underlying art with unnecessary decoration.